Find out how organisations in the area can help you with your job search, careers advice or support in becoming self employed. Tameside MBC jobs - Jobs with Tameside MBC and other Greater Manchester authorities including support for job seekers and volunteering opportunities. Apprenticeships - Information on apprenticeships with Tameside MBC. Naval Families Federation - Assistance provided to help find work including details of enhanced access to Job Centre Plus for the Armed Forces Community. British Legion - Support for finding work, training courses and help with CV writing. The Poppy Factory - The Poppy Factory help ex service personnel from the armed forces find jobs and employment in the UK. Finding a job - GOV.UK Government Services information on searching for a job. HM Revenue and Customs - Support for people considering becoming self employed. Businesses and self-employed - GOV.UK Government Services information on starting up and running a business in the UK, including help if you're self employed or a sole trader. Schools - Information on schools in the Tameside area including admissions and specialist learning and support. Adult Education - Learning opportunities, advice and guidance for anyone wanting to begin or continue with learning across the Tameside area. Learn Direct - Information on Learndirect training courses available. UCAS - Details of higher education courses in the UK. Open University - Courses available with the Open University. Troops to Teachers - Recruiting the very best former Service personnel (Service leavers) into teaching. 5 Way to Wellbeing - information on events and activities linked to a healthy lifestyle. Tameside Families Information Service - how to find information about family services in Tameside. Army Families federation - welfare support available to families when soldiers are away. Naval Families Federation - provides contact details of external welfare agencies, who offer advice and support on a wide range of family issues. Royal Air Force Families Federation - provides guidance and details of agencies available to you and your family. The Royal navy - provides service personnel and their families with information and advice ranging from relationships to relocations and from education to professional welfare support. SSAFA – lifelong support for armed forces and their families. 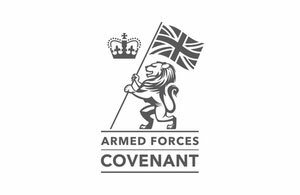 Armed forces pension - up to date details of service pension and compensation schemes managed by the Service Personnel and Veterans Agency. Energy in the Home - advice on energy efficiency. Money advice service - an independent advice service setup by government to help people make the most of their money. Money and Tax - GOV.UK Government Services information on Money and Tax. Army Dependants Trust - a charity which provides discretionary cash grants to dependants of soldiers who die in service, from whatever cause. Citizens Advice Bureau - free, independent, confidential and impartial advice to everyone including financial advice. The Army Benevolent Fund – the Soldiers Charity gives lifetime support to serving and retired soldiers and their families. The Royal Naval Benevolent Trust - the RNBT exists to serve men, women and their families by providing support at times of need, throughout their lives. The Royal Air force Benevolent Fund - welfare charity for the RAF personnel and family. Housing Services - housing in Tameside. MIND - mental Health Charity offering guidance and support. Ministry of Defence (Army) - information on casualty care, mental healthcare and family healthcare. Combat Stress - for veterans suffering mental ill-health caused by military service. Benefits Entitlement - GOV.UK Government Services - information on what benefits you could get, how much you could get and how to claim. Tameside Sports Trust - details of leisure facilities, community organisations and clubs within Tameside. Local organisations - directory of local voluntary groups, community-based organisations, clubs, veteran clubs and societies. Tameside Museums and Galleries - a changing programme of free family events and exhibitions. SaBRE - supporting Britain's Reservists and Employers. Combat Stress - treatment and support to both volunteer and Regular Reservists who are suffering from mental ill-health as a result of your Service career. NHS Employing staff in the Reserve Forces - Information on employing reservist staff including legal responsibilities; value and benefits; what happens when reservists are mobilised and reinstated and details of financial and other support and guidance available.